Wanted to acknowledge the incredible performance by the Ajax Swimmers at Easterns almost two weeks ago, before there is something to talk about from the Provincials starting this Thursday. The small but mighty Team of 14 lead by Head Coach Matt Bell, placed 4th overall at Easterns, an incredible performance by such a small number of swimmers. 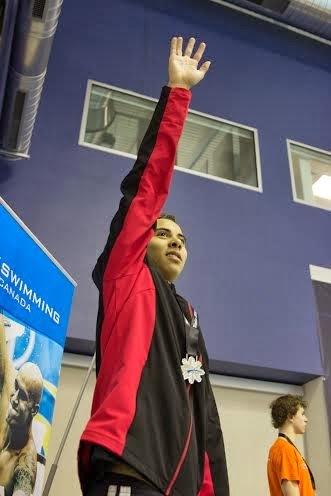 Javier Acevedo who just recently turned 16 achieved the "Sprinters Cup" capturing new meet records in the 50m , 100m and 200m Freestyle. In addition to the 3 Gold medals he captured 5 additional medals setting new Ajax Club Records in every event he competed in. Danika Huizinga swept the Fly events (50/100/200), breaking meet records in all 3 races. She broke National records in the 200m and the 100m for her age group (13-14), her 100m time was the fastest all time female in Ontario. In total Danika collected 4 Gold, a Silver and 2 Bronze setting new club records for all races that she competed in. Kayla Sanchez set a new National Level Record in the 100m Back while being one the youngest swimmers at the competition. No surprise with the performances noted above that the Girls 13-14 Relay Team was pretty strong. The Team, comprised of Danika Huizinga, Emily Vandenberg, Aryanna Fernandes and Kayla Sanchez broke National Records in both the 4X50m ad 4X100m IM Relays. The Ajax Swimming has been using INFINIT since January of last year, we are thrilled to be associated with the results the Team is generating. Head Coach Matt Bell states: "Ajax Swimming athletes use REPAIR after each practice and JET FUEL during every major competition. Ajax Swimming is powered by hard work, and fuelled by Infinit"
Congratulations Ajax and Good Luck at the Provincials. I was at the Windsor Aquatic Centre on the weekend in support of the second Tri Clinic of the Season put on by Loaring Performance Coaching. 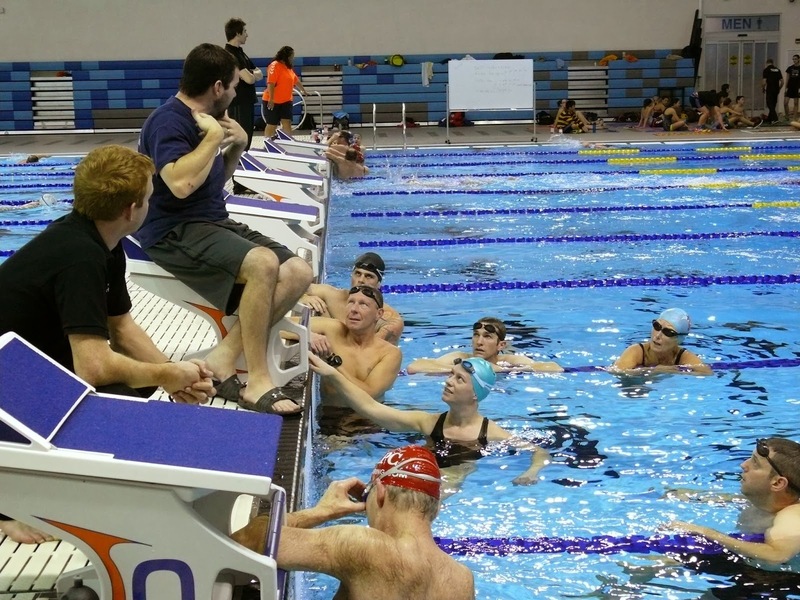 Coaches James and Mark from LPC, Charlotte from Loaring Physio, Peter Evans and Windsor Aquatic Club coaches Deb and Jeff put the large group of 60 through there paces this past Saturday. Deb, Jeff, Mark and James led the 90 minute swim workout that was broken up into 3 sections: descending sets, open water drills and swim specific drills. Jeff & Mark leading swim technique drills. Following the a quick transition so to speak the group went out for a 60 minute run. Trails were a little icy so a road loop was just the ticket to get the run in. After the run there was core work with Charlotte and some nutritional guidance from Mark. Finally the day finished with a 90 minute intense trainer ride instructed by Pete Evans. I was there for support only, remembered from the January session that this was a hard effort. In total the day was a 4-5 hr effort, a great way to accelerate your training. We were happy to fuel such a great day with Jet Fuel and Repair. We will be putting together some heavier blends for the long bikes they will be taking at the upcoming Florida camp and of course there will be lots of Repair on hand. Great Job James you and the Team put on another great clinic. 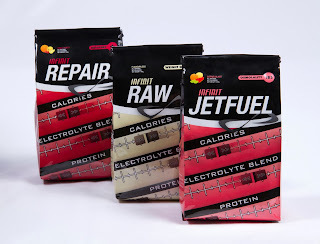 When Cycle Culture opened their doors last year it was a no brainer to carry INFINIT - owner Matt Gervais is a long time user and knows the value of sport specific and custom nutrition. Knowing Matt was intimate with the customization already, making them an INFINIT Anchor Store program was a great fit. The benefits of the Anchor Store program hit all involved, the Customer, the Retailer and us at INFINIT. Free Shipping. Any INFINIT Customer can pick their product up at Cycle Culture with no shipping charges. Any Cycle Culture Customer can get expert advise on the sports specific blends or can create a custom formula with the Cycle Culture crew, custom blend is purchased in store and delivered 2-3 days later. Convenience to get sports specific blends anytime. Ability to offer the same blends that elite Canadians use to get to the podium. Part of INFINIT custom sales. Increased traffic from customers shipping free to their location and picking up custom blends. Customer and retailer are happy. More people benefiting from our products. "It is a great program for the retailer in that it brings athletes of all kinds and abilities into the shop. They are typically very eager to ask questions, and we have all become experts on the benefits of using a custom nutrition solution. Often times when there are more customers in the store, explaining how the custom program works draws a bit of a crowd as others always become intrigued and would like to learn more. It is great for the customer as well because we have a knowledgeable staff that can answer questions on the spot, and the free shipping to the store option is a huge plus! Many customers also liked being able to try some of the retail "Go-Packs" before going all in on their own custom formulation." Matt Gervais Cycle Culture Tecumseh. We are looking to increase the number of Anchor Stores by 10 in the next couple of months. If you have recommendations on potential Anchor Stores please let us know. We will continue to update these frequently questions as we get new questions. When would Jet Fuel be used? 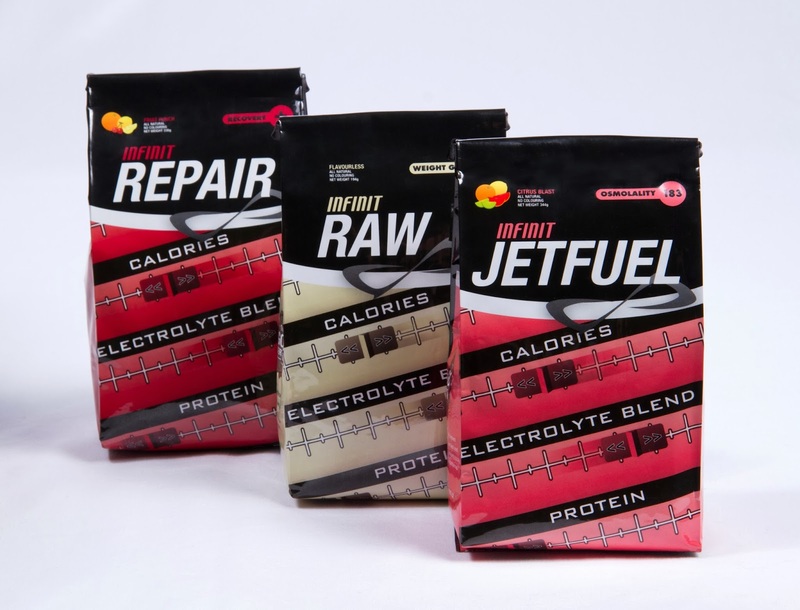 Jet Fuel is used as a prehydration product and as a during workout blend. It is hard to say if it is necessary as a prehyrdration product as all routines are different, if an athlete is coming to the pool light on calories, using Jet Fuel in the 60 minute window prior to the swim can be beneficial. Why are recovery products like Repair necessary? Recovery products promote: Protein Synthesis, Glycogen Synthesis and Re-Hydration. All are important elements in the full recovery process, necessary to take full advantage of intense workouts. When are recovery products best taken and why? Recovery products are best ingested less than 30 minutes from the completion of intense workouts. This timing is necessary to prevent protein synthesis being fuelled by the muscles themselves. Having sufficient levels of protein present following a workout ensures that the growth and repair is supported by an anabolic process which leads to muscle growth. Are INFINIT Swim products suitable to smaller athletes? Regardless of athlete size the concentration of a drink or proportions of raw materials should remain the same, the only difference for smaller versus larger athletes is the total quantity consumed. Smaller athletes sweat less and burn less calories, therefore would need to consume a smaller quantity. How do you know how to customize for an individual athlete? Following a nutritional consult we use information of body type, training intensity, symptoms, sweat rate and preferences to create a blend customized to an individual. How much does it cost? To fuel on Jet Fuel and Repair which is recommended to maximize workout performance and recovery, it costs less than $4.50. How will we know if our son or daughter is benefitting from taking the products? They will be able to swim to their full potential during workouts, feel stronger during workouts and feel better, more alert following swims. What is the best way to support my son or daughter in using INFINIT products? The night before swim workouts - prepare Jet Fuel and Repair bottles by adding powder to empty sport bottles (600ml). In the morning prior to going to the pool fill Jet Fuel bottle with water for during workout. When they finish the swim and shower fill the Repair bottle with water and consume on the way to school. How would I know if my son or daughter needs to use RAW? RAW is only to be used if your child is not able to get enough protein from real food. Swimmers require 0.7-0.8g of protein per pound of body weight per day - augment any gap that can't be closed with RAW. Mix into smoothie, JET FUEL or sweetened milk beverage. Just wanted to quickly share my experience as a volunteer at the Speed Eastern Canadian Championships which was expertly hosted by the Windsor Aquatic Swim Club. We have been fuelling elite swimmers since 2007 - but have never had the opportunity to be at a swim meet in person. That changed last week when I got to help out as a timer. Those who know me, I am a middle of the packer - Triathlon swimmer, seeing the way swimming is really done in person was so inspiring. I had know idea how busy, yet structured and organized swim meets are. A flurry of activity as you move through the heats. One heat after another, then next event more of the same. As a timer you are right in the middle of it all. Really quite easy as a timer, pushing the plunger either on the 50 m laps or at the very end of the race. In a blink of an eye 3 hours passed - I loved the experience and will sign up again, great way to help the community and see the meet first hand. There will be lots of meets in the future in Windsor and across Canada - swimmer or not, you will love it. Spent a good amount of time at Windsor Aquatic centre for Easterns last week - what a great event with many great performances. While there with Team Aquatics and volunteering we fielded a lot of good questions on how to best use the 3 products: JET FUEL, REPAIR and RAW. Used as a prehyrdration product if you are coming to the pool on an empty stomach. Used as a fuel during the swim - taking a full serving during 90 minute swim workout will help manage the calorie deficit and balance electrolytes. Allows you to maximize your effort through the entire workout and starts the recovery process. Mix 1 scoop in 600 ml bottle. Used immediately after the swim workout. Best within 30 minutes. Supports the growth and repair of fatigued muscles. Fastest way to replenish your energy stores to prepare you for the next big workout. Take bottle with 2 scoops to the pool. After shower - add water and drink as you transition to the rest of your day. To be used when protein amounts from real food does not match athletic needs. Swimmers should be ingesting 0.7-0.8g protein per pound of body weight. As an example a 120 pound athlete requires: 84 to 96 g of protein. Track protein intake in a day - if deficit present, tweak diet with real food to target range. If still down augment with RAW. Mix with smoothie or milk sweetened with maple syrup. We always promote that you get as much of your nutrition from real food. However during workouts and immediately after it is more practical/efficient to get your fuel from a liquid source. We can help your perform to your potential in the pool and school. If you have any questions, please email me directly at darcy@infinitnutrition.ca. All proteins are not equal. What do you get when you buy a protein like INFINIT RAW? A protein derived from cattle that are fed on chemical & pesticide free natural grasses. A protein derived from cattle free of growth hormone. A protein that has the most optimal amino acid profile for athletic performance. 14.3% Leucine - the Branched Chain Amino Acid most critical to the growth and recovery of fatigued muscles. A protein that mixes immediately, without foaming and clumping. A protein that has the best flavour profile of all proteins available. Within 30 minutes of completing high intensity workouts that last greater than 60 minutes. Supplying the body with good quality protein ensures that the body recovers on the nourishment provided and not the muscles themselves. Net effect is muscle growth. When protein levels ingested through real food are below 0.7-0.8g of pound of body weight. Protein is best ingested spaced out through out the day 20-30 grams per sitting. We are not for everyone - if you are looking ratcheting your performance up higher than ever and experience less muscle fatigue - give us a try. the product so much, I bought the company". That pretty much sums up how I came to own INFINIT Nutrition Canada. Coming off my third Ironman in 2004 - I was looking to enhance my fuelling plan even further. I was already well aware of the benefits of an all liquid nutrition, simply the best way to maximize calories while at heart rate. At this point I was getting about 300 calories per hour while on the bike. The claim from INFINIT Nutrition was that they would create a blend that was customized to my exact needs and would be all I need to power through anything I would tackle. Looking to continue to lower my overall time - I was in. I went through the interview process with INFINIT and created a blend that matched the way I raced, my body mass, my sweat rate and addressed any specific symptoms I was having. Got my blend a week later - came from the states. After my first century ride I new this was different. I quickly went from ingesting 300 calories per hour to almost 450 calories while riding. During a typical IM ride or century ride that is around 800 extra calories - this allowed me to power through my rides and probably more importantly primed my recovery process. My bike spits continued to improve and running off the bike was better than ever. My first IM on INFINIT I hit my goal time on the button and shaved over 45 minutes off. I was hooked. The following year was really when I became aware of the opportunity from a business perspective. After another full season of training on INFINIT I was looking to qualify in Lake Placid in 06. Two weeks outside of my race, my product did not arrive - it was stuck at the border. Contacted Mike and the US Team - they assured me they would hook me up. While discussing I became aware of the opportunity, Mike was looking for a presence in Canada. After a breakfast following the 2006 race - Mike and I agreed that INFINIT Canada would be a reality. So I liked the product so much - I bought the company! INFINIT Nutrition Canada was launched in November 2006. When I first started the company, I romanticized about being immersed in the sport I loved. What happened in reality was that I was pulled away from competing at the level I was. Understandably all the time that I had invested in training after 10 hour work days in my pharmaceutical career where now reserved for supporting INFINIT Nutrition Canada. Our growth was strong and really organic - simply from our customers talking to their fiends. In 2007 there was a defining moment - we were contacted by the Canadian Sport Centre Pacific, Susan a Sport Dietitian called while on my lunch for the day job. They were looking recovery products and blends to fuel our national level athletes. Together with their experts and ours we created the Custom Fuel Program - 12 products that were designed to meet the wide range of needs for Rowers, Swimmers, Cyclists and Rugby to name a few. Of course all of these blends had to be free of banned substances. This relationship has continued and expanded across Canada - it has allowed us to work with elite athletes across Canada in nearly all sport disciplines. Last year my hand was forced so to speak - good problem to have. I could no longer lead the Operations Team in my pharmaceutical job and handle all of the demands the growing nutrition business. In July I turned my full time focus on driving INFINIT Nutrition Canada. My vision in 2006 when I first got involved was now a reality, today I am immersed in sport. Happy to say that I am back training with purpose again - will do my first triathlons since 2008 this coming summer. Infinit Canada Athlete Melissa Bishop (and Windsor native!) has been featured by the fantastic -- we mean it sincerely -- Canadian Running Magazine. From Canadian Running Magazine: "In high school it may have seemed like a long shot for Melissa Bishop to make it to the Olympics. She was a strong runner in the Ottawa area, but wasn’t a superstar. Still, Melissa took her time to develop over a university career at the University of Windsor and is one of Canada’s premier middle distance runners..." Click here to read the full article. Last November I came across an article featuring Manda and Nanette, two Windsor area Crossfitters that were close to opening their new performance clothing business geared specifically to Crossfit - Badass W.O.D. Wear. Well aware that Crossfit was one of the fastest growing conditioning programs in Canada, we were wanted to explore a fit with INFINIT. After a quick meeting with Manda - we new that we could add value to those training and competing in Crossfit. Taking what we learned from fuelling many top Canadian athletes in rowing, rugby, hockey, swimming, cycling and triathlon we put together a framework that would be a great starting point for Crossfit. Not having first hand experience in the sport we reached out to some of the best athletes in the area and in Canada. Dan Bosco, Kyle Cant, Jolaine Bloom and Erica Levitt. We are finalizing our packaging for these blends, expecting to launch these to the Crossfit community at the beginning of March. As is the case for all of our products - if our preblends are not to your liking, simply contact us and we will customize any blend to meet your exact needs. At this time of year most Canadians are in their base training phase, building the big engine for the peak training phases and summer race season. To build a base stronger than ever you have to put the training time in and you have to effectively fuel. Click here to watch the video. Fuel every 15 minutes on your sport-specific or custom blend for as long as the work out lasts, targeting a serving an hour. This will keep you hydrated and energized through out the work out and initiate your recovery. Within 30 minutes of any work out lasting longer than 60 minutes take a recovery blend like: REPAIR. Getting 15-25 g of protein and Branched Chain Amino Acids will promote proper muscle repair and growth. Watch the video for greater detail on the 2-phases of recovery and to learn how to ratchet up your base fitness week-over-week through this period of training. Start maximizing the benefits of your hard work with an improved recovery plan. As always, thank you for your continued support of Infinit Canada; we really appreciate it. Attention Windsor! We Need Your Help! In the midst of the hoopla of the Winter Olympics in Sochi, the City of Windsor and the Windsor Aquatic Club, are hosting a major Swim meet at the New Windsor International Aquatic and Training Center starting next week Thursday Feb 13, 2014 through Sunday Feb 16, 2014. This is a National Level Swim Competition for over 700 qualifying Swimmers 13 years and older, coming from Atlantic Canada, Quebec and Ontario. These swimmers are coming to establish/ record National competitive racing times to qualify for National events for their age groups ultimately with the goal to be considered for spots to represent Canada on the Next Summer Olympics. Because of circumstances beyond our control we are short on Volunteers. Perhaps you know of individuals who love sports, especially aquatic sports, who might be willing to come out (to a wonderful and warm pool) to help volunteer as timers or in other capacities. To run any swim meet we normally have between 90 and 130 volunteers and Officials per Session. This coming meet is a four day meet with Morning Sessions that run two Pools simultaneously and will require over 120 Officials in the mornings but we still need 40 or so more to help with timing and on deck routing of swimmers. In each of the evening sessions we still need 40 per session as well. Positions such as security (checking deck accreditations prior to entrance onto the deck) are also available. To explain the shortage of help we need to note that at most swim meets we count on parents attending the swim meet with their younger children to help to do Officiating, timing and to volunteer. Unfortunately, even though there are over 700 swimmers and 102 Clubs coming from all over Eastern Canada, many of the these swimmers are coming by bus with only a very few parents and some chaperones. Many clubs are sending their few qualifying swimmers with their 1 or 2 coaches. Given that there is also another major meet in Brantford Ontario (Winterfest) on the same weekend for which many of the 2 Windsor swim clubs (Windsor Aquatic Club and WEST) are attending with swimmers under the age of 13, most of our regular wonderful volunteer parents are going to be out of town. 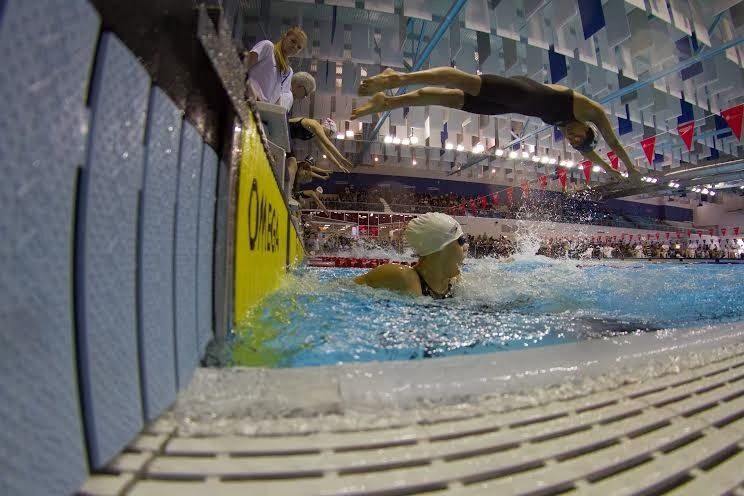 There are two sessions per day, Thursday, Friday, Saturday sessions begin with warm-up at 7:30 a.m. with first race off the blocks at 9:00 a.m. for preliminary heats, followed by the finals each evening session beginning with warm-up at 4:30 p.m. and first race off at 6:00 p.m. Sunday also has two sessions, with preliminary warm up starting at 7:30 a.m. as in previous days, but the warm-ups for the final session on Sunday will be earlier, and start at 3:45. Each session would last approximately 3 to 4 hours total. Infinit Athlete and professional triathlete Brooke Brown heads to the Dominican Republic for training and blogs about the experience for Triathlete Magazine Canada. From Triathlete Magazine Canada (and Brooke! ): "It’s been just over a month since I came down to the Dominican Republic to train, hoping to escape the ice and snow of Toronto. I arrived in Punta Cana, where my first week of training was pure bliss..."
Click here to read the entire article at Triathlete Magazine Canada.